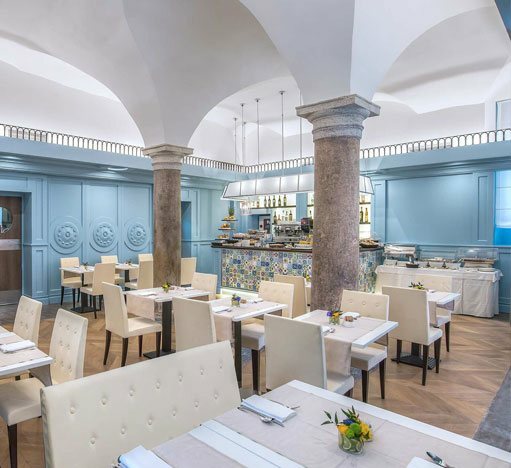 Restaurant The ultimate food experience This elegant 4-star is also home to an exclusive restaurant with its own separate entrance on a characteristic cobbled side street just off Piazza Navona. 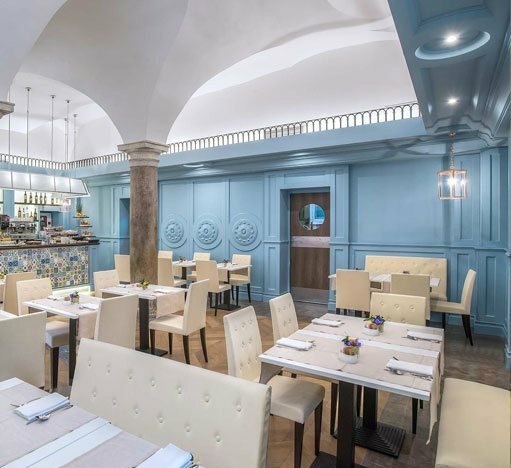 TASTE OUR Restaurant Ample-sized vaults create a frame for the splendid restaurant floor which functions perfectly both for small and intimate dinners for two or for large scale events for up to 40. 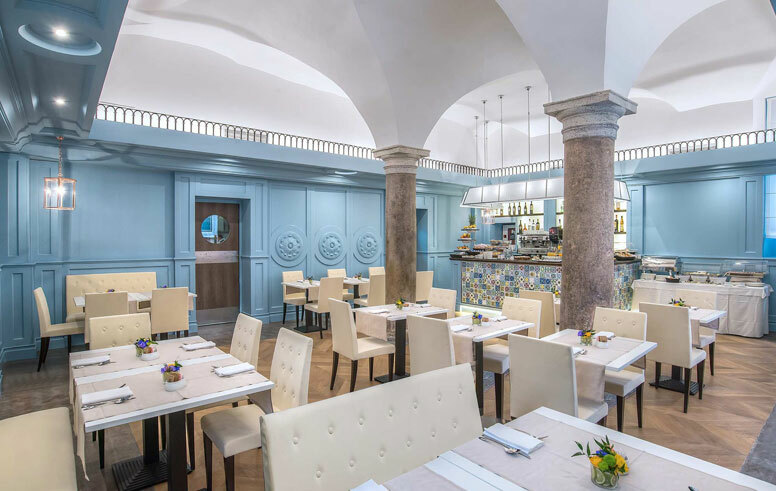 Thanks to the creative inspiration of our head chef, Martis Palace Restaurant offers a menu that reconciles tradition and locality with the standards of elegance and grace expected by modern clientele. Examples include nods to classic Roman traditional dishes such as our Cacio e Pepe Basket with Diced Pear and Organic Wheat Tagliatelle alla Gricia. Our kitchen team are also ready to create menus ad-hoc for the special requirements of any event. Martis Palace Restaurant also offers an abundant and varied buffet breakfast every morning to our hotel guests - even those hardest to please!